Infant Care | Irvine, California | Little Leaderz Day Care, Inc. The infant program at our Childcare Center in Irvine, California is designed to create a warm, loving, and secure environment for your child, thus, providing a peaceful sleeping space, as well as one-on-one play and nurturing time. We spend time cuddling and talking to your infant to instill trust and build a healthy relationship. 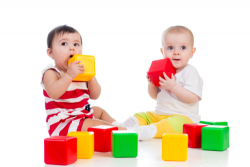 We interact and guide your infant with age-appropriate playtime to provide a healthy early learning environment for movement, exploration, and communication. In addition, we also sing songs and read stories to encourage language acquisition and enjoy playtime experiences that help boost cognitive and motor skills. It is our duty to provide an infant daily log to develop your child’s daily schedule including nap time, play time, and feedings. At our Day Care in Irvine, we help your child transition from infant to toddler as your growing child learns new sounds, signs language, vocabulary, and fine/gross motor skills.